Senior Travelers save 15% all September long! Check out our Top 5 Destinations for Seniors. #1 – MIAMI BEACH, FLORIDA. Miami is full of beautiful beaches! While it’s hard to pick one, Miami Beach is a great destination to relax in the warm sand. Then, grab a bite to eat at one of the many nearby restaurants in Downtown Miami! Red Roof PLUS+ Miami Airport is centrally located and provides the perfect blend of convenience and comfort! Enjoy a meal at great Phoenix-local spots like Santisi Brothers (0.1 mile), Valle Luna (0.05 mile), and US Egg (0.50 mile)! Or, attend a conference at Phoenix Convention Center is located at the center of everything and is just 16 miles away! Save 15% at Red Roof Inn Phoenix North – Bell Road! Love Country Music? Visit Nashville and experience the heart of Country Music. With tons of performances to see, or the Country Music Hall of Fame, there’s no shortage of activities! 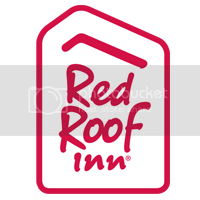 Red Roof Inn Nashville – Music City is conveniently located just four miles from the Nashville Convention Center, Bridgestone Arena and the Country Music Hall of Fame. Are you a sports fanatic? Boston has tons of professional sports teams to watch live! See the Boston Red Sox play at Fenway Park and cheer them on in the playoffs starting early October (14 miles away), The Boston Bruins take the ice or the Boston Celtics run the court at TD Garden (11.5 miles away). Red Roof PLUS+ Boston – Logan is a great destination for the live sports lover! #5 – NATAL, RIO GRANDE DO NORTE. Ponta Negra is known as the most beautiful urban beach of Natal! Enjoy the comfort of the hotel room with the ease of traveling Natal. Experience more in Brazil, for less! Red Roof Inn Natal has an excellent location with easy access to the Natal Convention Center, local restaurants and shopping as well as a short drive to the airport. Click here to read more about our September Senior Savings Deal!